Horodyshche Apostolos [Horodyšče] (aka Khrystynopil Apostolos). 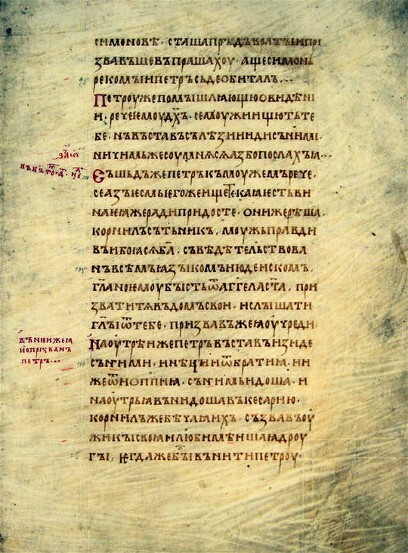 A 12th-century manuscript (299 folios), copied from the original Church Slavonic in Galicia or in southern Volhynia. The apostolos represents a significant source for the study of the development of the Ukrainian language. 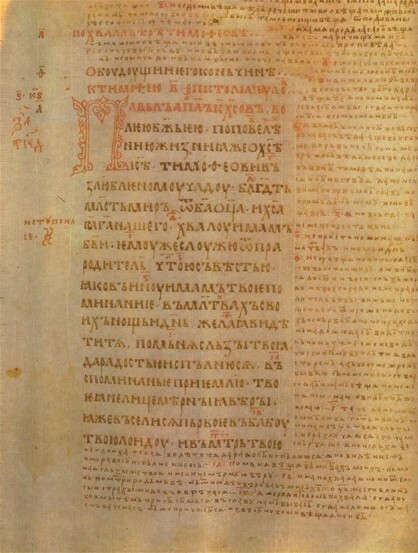 The bulk of the manuscript is kept in the Lviv Historical Museum, but the initial eight folios are in the National Library of Ukraine in Kyiv. The above sections have been published respectively by Omelian Kaluzhniatsky (1896) and Serhii Maslov (1910). The language has been studied by Oleksander Kolessa (1923).